As a prelude to the ‘Jaipur Jazz and Blues’ Festival scheduled to be held in October in Jaipur, Seher India organized a Jazz concert at the lawns of Rambagh Palace in Jaipur on Thursday. 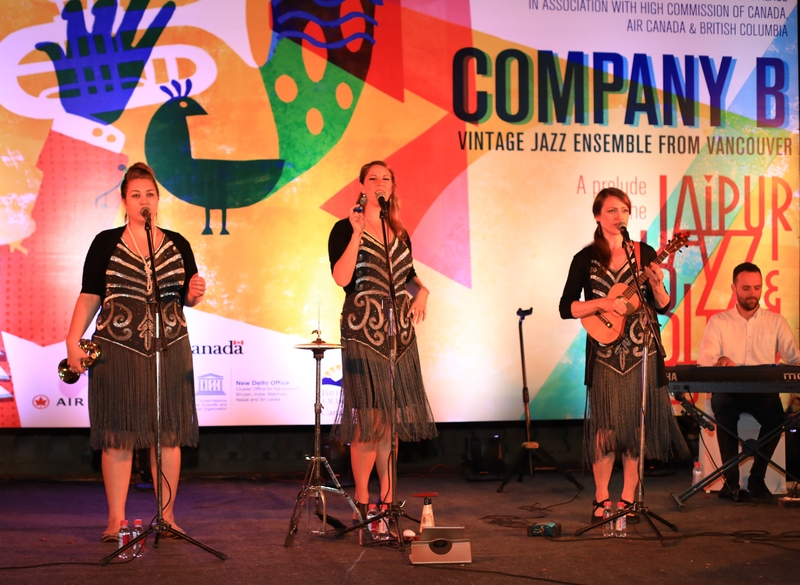 A Vintage Jazz Ensemble from Vancouver – ‘Company B Jazz Band’ rendered fun and fresh vintage vocal harmonies. The female vocal trio of Shannon Scott, Juhli Conlinn and Bonnie Northgraves won the hearts of the audience with their high energy yet soulful renditions. The event was organized by the Directors & General Manager of Rambagh Palace in association with High Commission of Canada, Air Canada and British Columbia. It is to be noted that the Jaipur Jazz and Blues festival will be the biggest Jazz festival to be organized in India. The aim of the festival is to bring the world of Jazz and Blues closer to Indian audiences and to take this rare art form to the masses. On the occasion, Directors & General Manager, Rambagh Palace, said that it is a matter of immense pride for us at Rambagh Palace to add to the rich and diverse cultural activities that take place in the Pink City. We hope to bring more such exclusive and exciting events for the Jaipurites.